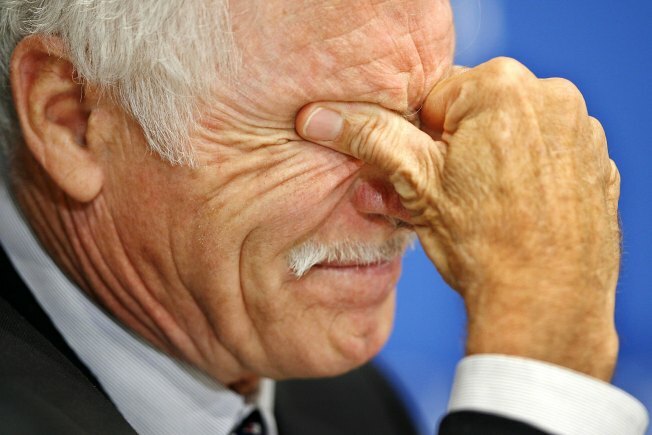 Ted Turner rubs his eyes while preparing to deliver remarks at the National Press Club. A leader in business, entertainment and sports, Turner talked about his efforts at the United Nations, his philanthropy, the current state of journalism and his perspective on the nuclear test that North Korea says it completed. Nicola Luisotti, San Francisco Opera’s music director designate and a master of the Italian repertoire, will conduct Puccini’s most beloved opera, the story of starving artists falling in and out of love in 19th-century Paris. The performance begins at 7:30 p.m. at the War Memorial Opera House in San Francisco, 301 Van Ness Ave.
Los Lonely Boys will play their diverse music at the Fillmore tonight. The three brothers in the band are known for singing songs that are filled with engaging hooks, expressive lyrics and all out boogie goodness. The show starts at 8 p.m. at the Fillmore, 1805 Geary Blvd., in San Francisco. The former Mr. Jane Fonda and founder of CNN will speak about his new book "Call Me Ted" at the Crowne Plaza Cabana, 4290 El Camino Real, in Palo Alto at 6:30 p.m.